Tomorrow is a days shoot in Liverpool with a fellow Photographer Jamie Smith. Look out for the results in a few days. Meanwhile a teaser from a previous trip. 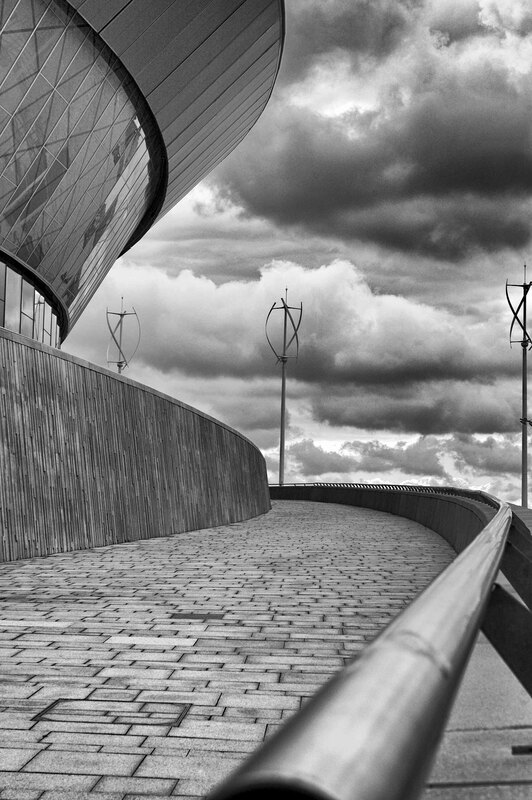 Liverpool Echo Arena and BT Convention Centre 2008. I love the perspective in this shot.. really nice! Thanks. This was taken as part of a photography course module on composition. I was specifically looking for patterns, shapes and lead in lines. Hi Adrian nice picture as it is, have you thought about including moving people? Will give it a go. Thanks Andy. Thanks. It rained all day so I am not confident of a good series of photos. Fingers crossed! Nice image, I like the angle and the lines.